For diehard Star Wars fans with deep pockets, there’s this: a solid gold Darth Vader helmet. 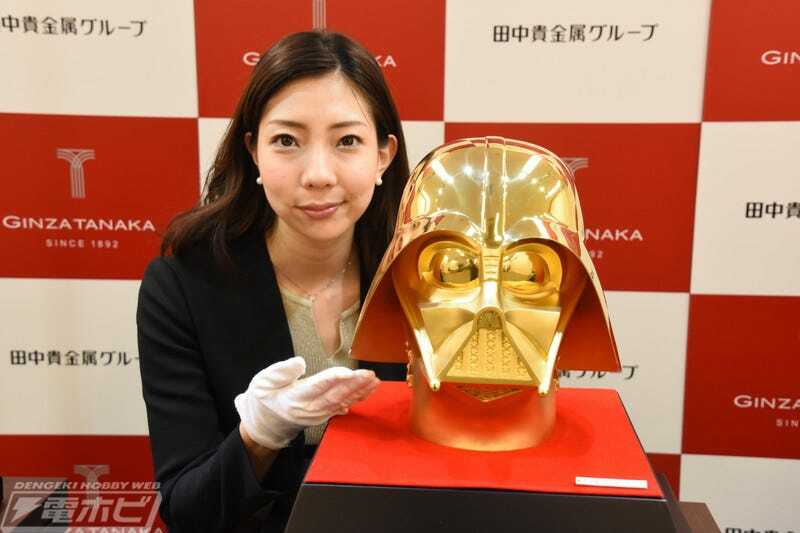 According to Dengeki Hobby, the one-of-a-kind 24-karat Vader helmet weighs 33 pounds and goes on sale at Ginza Tanaka in Tokyo on May 4. Yours for a cool 154 million yen (US$1.4 million). The dark side of the Force? More like the shiny side.